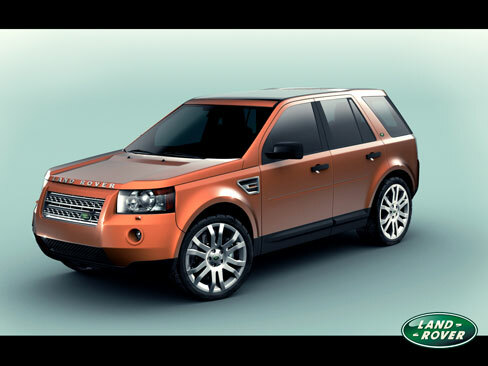 Description: The new Freelander 2 debuted at the 2006 British International Motor Show. While the new model retained the Freelander nameplate in Europe, it was to be marketed as LR2 in North America (mirroring the marketing of the new third-generation Land Rover Discovery as LR3). Preceding the official debut, a private presentation at the Kensington Roof Gardens had been held for journalists, featuring celebrity tennis player Maria Sharapova. The new 2008 LR2 is now on sale in the United States for a base price of US$34,700. The second generation Freelander is based on the Ford EUCD platform, which itself is based on the Ford C1 platform. The EUCD platform is also used by the new Ford Galaxy, Ford S-MAX and Volvo S80, and will be used by more upcoming vehicles from Ford and Volvo. The engine range is all-new for Freelander, featuring transversely-mounted 3.2 I6 engine of the Volvo SI6 series, which first debuted in the new Volvo S80, as well as the 2.2 DW12 common rail turbodiesel engine, co-developed by Ford and PSA. Unlike previous Land Rovers, this car will be manufactured alongside the Jaguar X-Type at Halewood, near Liverpool. The new Freelander features improved ground clearance and promises greater off-road capabilities, closer to other Land Rover models and significantly above those of rivals such as BMW and Audi . It has a much improved quality interior with more features as standard.